"As in life, what matters is not the final destination, but all the interesting things that occur along the way. For wherever you are, there is somewhere further you can go." In In Traveling, Takahiro Yamamoto reflects on mental and metaphorical experience of traveling through the lens of live performance. Here, seven dancers follow individual score simultaneously in one space. 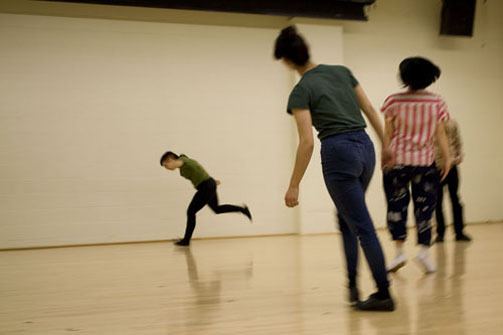 At the same time, they decide duration and timing of each task within the score through their external awareness of the environment, viewers, and actions of other performers. Focusing on the connection between experiences of dancers and viewers as well as the relationship among dancers themselves, In Traveling arises from my questions, observations, and obsessions with the power and nature of live performance.